It takes all of Petoskey to host this celebration of top singer/songwriters of Northern Michigan. The feature site is Red Sky Stage, hosting 3 performances, one in the afternoon from noon to 5 pm and 2 in the evening. Each show will feature a collection of the best singer/songwriters from this music crazy region. Free shows are also set for Beards Brewery and City Park Grill noon to 5pm. 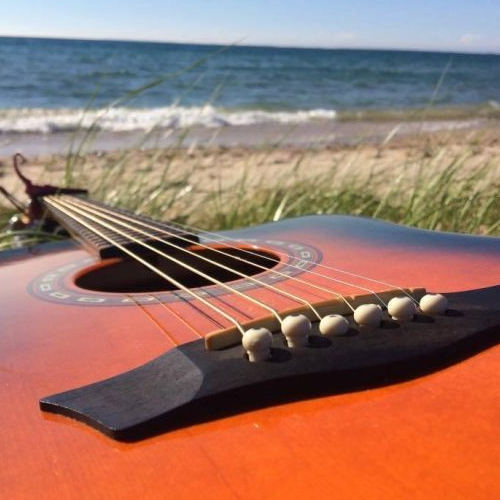 It will take all of Downtown Petoskey to host this celebration of the outstanding singer/songwriters of Northern Michigan. The feature location of the event will be Red Sky Stage. We will present three performances, one in the afternoon from noon to 5 pm and two at show in the evening at 6 and 8 pm. Each performance will feature a select collection of the best singer/songwriters from this music crazy region. The 6pm show features Ryan Peters and Roger Brown. This is a ticketed event. The 8pm show features Joe Shields, Lara Fulford and Kevin Johnson. This is a ticketed event. But that is not all. This day will be bigger than any one venue can contain. Simultaneous free performances will take place in the afternoon at Beards Brewery and City Park Grill from 12 to 5pm.